Paying higher education costs is no easy feat. High tuition, the cost of books and materials, fees and other charges often make it difficult for students to complete their education. This is especially true for nontraditional students who might find themselves locked out of scholarship and loan programs geared more toward traditional age students. One source of help for nontraditional students to address higher education costs is an employer tuition assistance program. 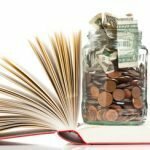 The Education Commission of the States (ECS) outlines principles of good financial aid programs; it is easy to see how tuition assistance programs often follow these principles and provide a way for students to meet higher education costs. One principle that ECS says should guide financial aid programs is that they are broadly inclusive. They should include all students’ educational pathways and allow equal access to students of all ages and backgrounds. A program that is broadly inclusive will also increase eligible students’ awareness of the financial aid availability. A second principle that ECS outlines as part of a good financial aid plan is that it should be goal-driven and data-informed. Aid programs should align with measurable state education and workforce goals. State financial aid should be able to help states realize their goals for student enrollment and completion.